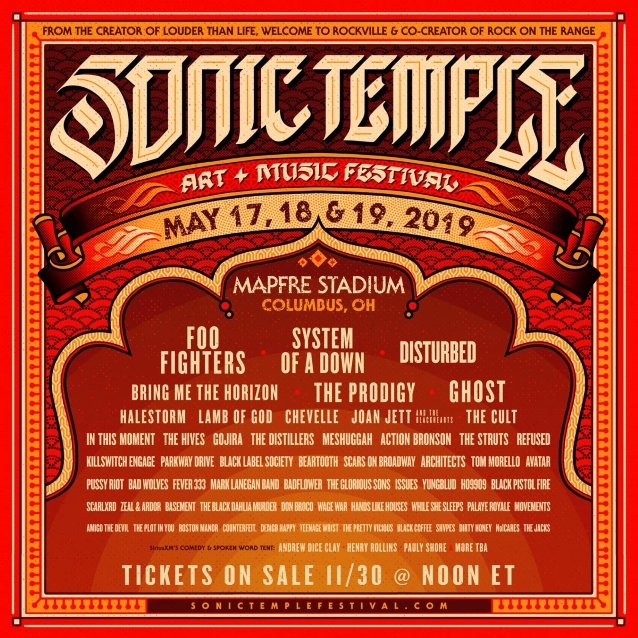 FOO FIGHTERS, SYSTEM OF A DOWN and DISTURBED will headline the inaugural Sonic Temple Art + Music Festival. The three-day event, set to take place May 17-19, 2019 at Mapfre Stadium in Columbus, Ohio, replaces the perennially popular hard-rock fest Rock On The Range, which ended its run in 2017 after being held in Columbus since 2007. In addition to performances from top music artists, and various onsite attractions, attendees will enjoy a variety of onsite food and beverage options celebrating local Columbus flavors. For more information, visit SonicTempleFestival.com.